The Plus Eight program is a mechanism to help Perth continue to support a larger push for growth in the startup ecosystem. Perth’s startup community is a grassroots ecosystem that Spacecubed has long been a supporter of, however there had been an acknowledged need for a bridging program that facilitated the Perth startup ecosystem getting connected to the startup scene both nationally and internationally. This was driven through a need for local startups to attain a broader understanding of the opportunities available for businesses at a larger scale, and what it would take for a company to achieve success at that level. Perth has a strong, supportive startup ecosystem, and the potential of this to be harnessed for the Plus Eight program was recognised by Spacecubed’s Impact Manager, Chandra Sundareswaran. The muru-D model was a great starting point to facilitate this change by bringing a strong, established network at a international level and a muru-D alumni that brought opportunity and challenges to the Perth cohort teams, as well as an opportunity for WA businesses to enter the US market, and the east coast, using the muru-D brand as a starting point. Spacecubed’s Impact Manager Chandra was particularly keen to see the program achieve success, having been through the startup process himself. Establishing his first business at age 25, he founded a second one a few years later with the assistance of a social enterprise accelerator program on the east coast. Having been through the founder process both with and without an accelerator, Chandra says “the value of mentor and expert insights through the founding process helped us achieve a rapid learning cycle for product development at a faster rate, and avoid some common pitfalls, much earlier than when we went into a new industry without this level of assistance”. Leveraging his own personal journey meant that he was appreciative of what the muru-D platform could bring to WA. “Another key aspect of the value of the Plus Eight program is the access it grants to investor networks both locally and nationally. 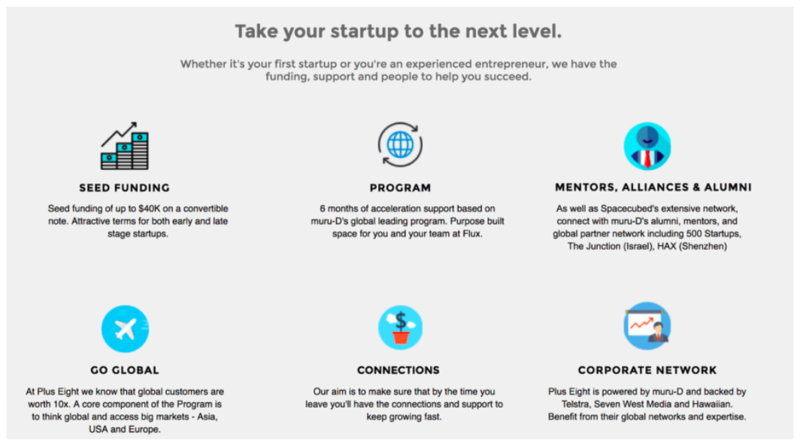 This is one aspect of what an accelerator program like Plus Eight brings to the table, and the pressure it takes off founders at a rapid growth stage.” Chandra says. 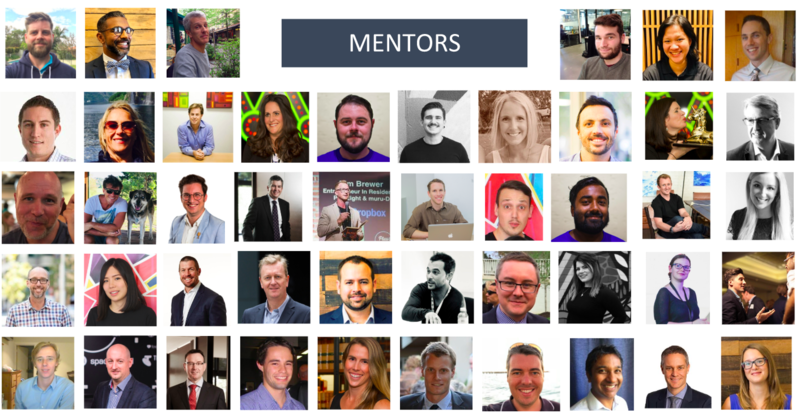 Also built into the program is the mentorship and guidance required to easily navigate through legal requirements, and accounting frameworks (including shareholder structures, cap tables, and ESOPs), which many of the previous cohorts found to be an unexpected bonus in their startup journey. The very first Plus Eight cohort in 2017 helped start Humm, who are now in Silicon Valley making truly unique and innovative products, as well as Unocart (called Feedmee App at the time) who are now leading the way in grocery deliveries across Australia. The second Plus Eight cohort in 2018 included SpacetoCo that dominated SharkTank and attracted the interest of Steve Baxter, as well as WA Innovator of the Year udrew. If you’d like to find out if an accelerator is right for your startup, join us with Marvin Laio from San Francisco based global accelerator 500 Startups, Derek Gerrard from Perth’s Plus Eight, and Tom Young from udrew at FLUX on Dec 5 to find out more.